Major Australian sporting and entertainment events, including concerts. Our customers come from Sth East Asia, Sth Africa, Japan and UK / Europe to name a few. 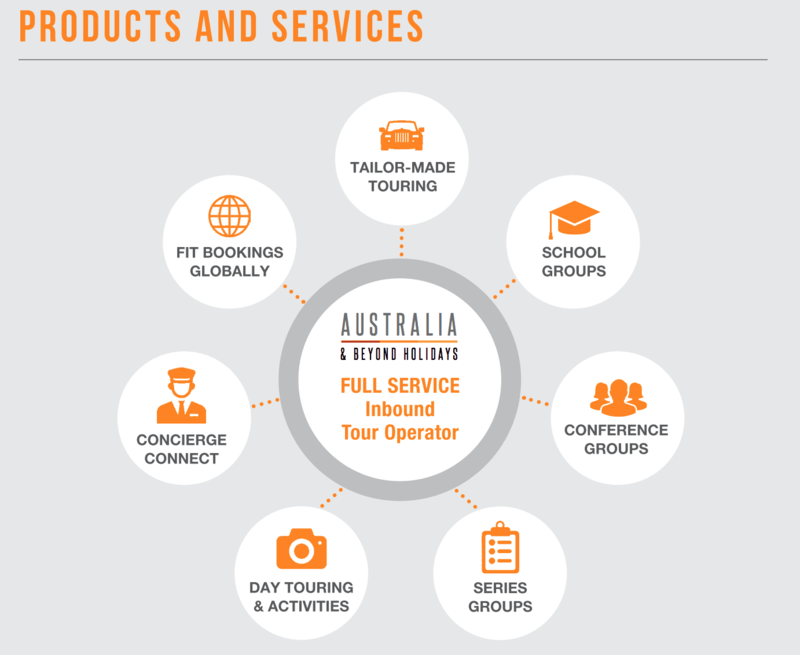 Our team has extensive experience in Australia, New Zealand and the South Pacific and is able to tailor-make an experience for you and your customers. Our tailor made itineraries are available for groups of any size and if required can be escorted by a multilingual guide. We provide a number of programs for school groups visiting Australia including campus stays. We can implement your itinerary or assist you to create one. Australia and Beyond currently provides our customers a number of group departures which depart at specific times of the year. Our series tours are fully inclusive of meals, accomodation and touring. Our series groups are fully escorted with a multilingual guides if required. Australia and Beyond has access to the most competitive inventory and rates world wide. We have a particular focus on Sth East Asia. Our (FIT) booking tool is available via the web as well as being able to be fed to your booking and operating system via XML or API connections. Through our extensive network of suppliers Australia and Beyond can construct a partners program for your next conference in Australia. Australia and Beyond has a number of day programs which can be tailor made for your next conference to provide partner activities. These can be organised as private group touring as well as part of and open to the public experience. Australia and Beyond has a port folio of activities and day tours for your next visit to Sydney, Melbourne, Brisbane, Perth and other Australian cities. We provide booking facilities for concierge and Hotel staff to provide real time bookings for their in house clients for either day touring, sightseeing or for more detailed itineraries in Australia and Beyond. Australia and Beyond Holidays is a participant of the Approved Destination Status scheme between the Chinese and Australian Governments. Australia and Beyond Holidays runs a number of ADS compliant itineraries.